After ten years in Huntsville State Penitentiary, Jasper Curtis returns home to live with his sister and her two daughters. Lizzie does not know who she's letting into her home: the brother she grew up loving or the monster he became. Teenage Katie distrusts this strange man in their home but eleven-year-old Joanne is intrigued by her new uncle. Jasper says he's all done with trouble, but in a forgotten prairie town that knows no forgiveness, it does not take long for trouble to arrive at their door. I'm excited to share this review with you today! Although I don't like to read too many dark books in a row, I love thrillers, and if I haven't picked one up for a while I start to crave another and look into what my next title will be. For me, The Last Days of Summer ticked all the boxes. It's full of tension from the start as we are introduced to Jasper on his release from prison after a ten year sentence. His crime is not revealed until closer to the end of the story but it's clear from his interactions with other residents of the town that it was something terrible which none are ready to forgive him for. The events unfold quite slowly to start with but the tension is constantly rumbling in the background, hinting at things to come, which was given added depth by the atmospheric description of the surrounding prairie landscape. The major theme of the book is the difference between good and evil and how this isn't always clear cut, and this was really well integrated through the use of alternating viewpoints, particularly the different perceptions of Katie & Joanne. Whilst Katie is wary of her uncle, Joanne sees things much more innocently due to her limited knowledge of his crime, and is able to strike up an unlikely bond with him. Because of this I think Joanne is the character I felt most for, but all the characters were well developed and complex. I had very conflicting opinions of Jasper in particular - I was sympathetic towards his attempts to try to integrate into society after serving his sentence and his friendship with Joanne but at the same time, his inner monologue was not always easy to read. It is a shocking read in places, particularly from finding out Jasper's crime and the ending, which is very evocative and had me holding my breath. Vanessa doesn't hold back and there were some very graphic scenes but for me this is only a strength given the genre - there is nothing more disappointing than a book that claims to be a thriller but falls short. The tension is really ratcheted up as the story progresses and whilst there are some very disturbing events, I couldn't tear myself away from it. It was completely addictive and really impressive for a debut novel - I'll definitely be looking out for anything else by Vanessa Ronan. A must-read for any fellow thriller fans. 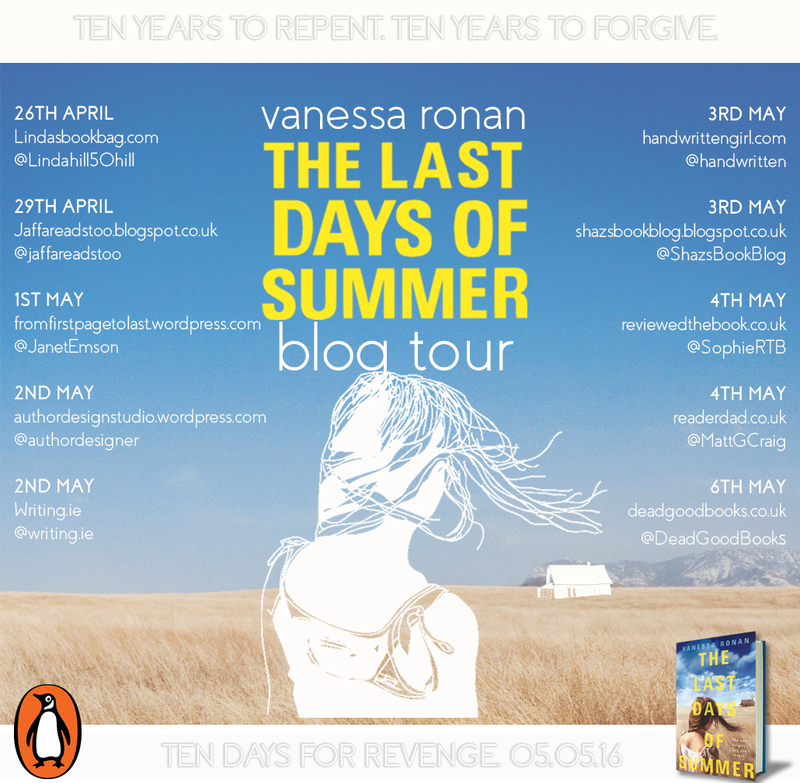 The Last Days of Summer will be published on 5th May by Penguin and is available to pre-order on Amazon! Ticks all the boxes for a perfect thriller. Complex characters, atmospheric setting and a smart, tense narrative. Expect some disturbing scenes, but I couldn't tear myself away from it, especially towards the end. * I received a copy from the publisher in exchange for an honest review. All thoughts are my own. It's been a while since my last update at hour 16, after that I decided to go to bed for a while to get some sleep but ended up sleeping for a couple of hours more than I intended! But I think I needed to and I'm feeling pretty good! 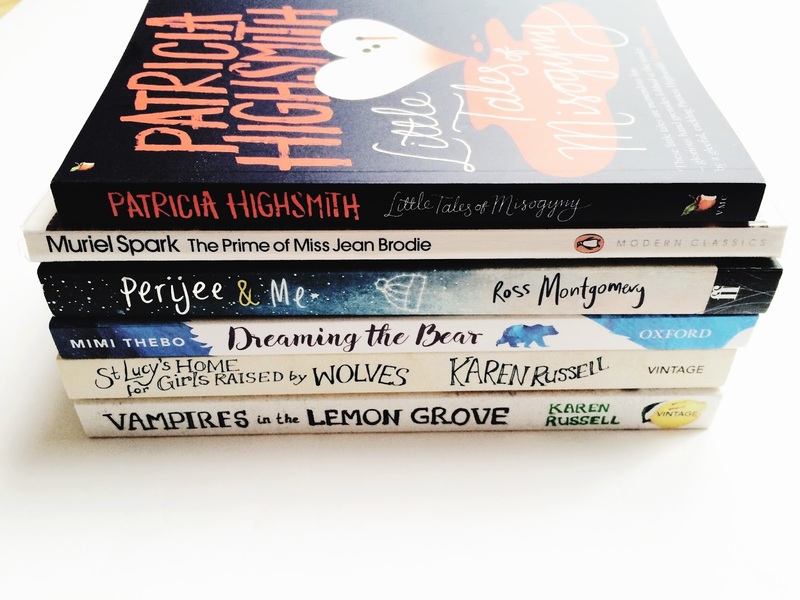 I managed to get through all but one of the books I picked out for the Readathon - I didn't get around to Vampires in the Lemon Grove, but in general I'm really happy with the amount that I managed to read! Especially that I got past the 1,000 pages mark. I'm not sure if I will include as many short story collections next time as I found that they didn't hold my attention so well in the small hours - I might have been better off with a longer story that I could get really involved in. Hours spent reading: 19-20, I'm not quite sure! I definitely started to flag the most around hour 14/15 which was 2-3am my local time. It was the time I found it most difficult to just keep concentrating on my book and not fiddle with my phone! I really enjoyed Perijee and Me - it depends if you're a reader of children's books but it was a really engaging, quick read. Do you have any suggestions for how to improve Readathon next season? I didn't win any prizes so I can't be too sure on this, but I saw someone mention that a lot of the prizes were only available to US/Canadian participants which seems kind of unfair to us across the pond! 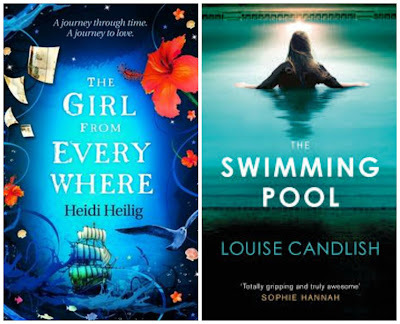 What do you think worked really well in this year's Readathon? I really liked seeing our #TeamOwl captain cheering everybody on over on Twitter! Towards the end I also read some more of a book I was reading before Readathon, The Second Love of My Life by Victoria Walters. Which book did you enjoy least? I'd have to say The Prime of Miss Jean Brodie and I'm really glad I read this first, as I don't think it would have held my attention later on in the Readathon. It wasn't a bad book but I struggled to see why it has the status it does. How likely are you to participate in the Readathon again? What role would you be likely to take next time? Very likely! I've loved being able to do nothing but read all day. I think I'll stick with being a reader for the next couple of times, since I'm still a newbie, but maybe in the future I'd like to sign up to be a cheerleader or challenge host. 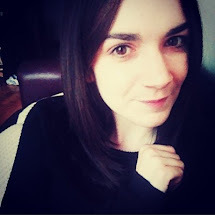 I'd also like to think about maybe doing a future Readathon to raise money for charity! Now I'm going to quickly hop in the shower and get ready to go visit Grandma as usual on a Sunday. I think it will be good to get some fresh air now! I'll probably even read some more this afternoon, after I've had a bit of a break and some food. I'll be writing up my thoughts on all the books I read for Readathon soon so keep your eyes peeled in you're interested. And as always feel free to add me on Goodreads! I'm feeling pretty pleased with myself because I've now managed to read 4 books for Readathon, and I've also reached the halfway point, 15/30 books, in my Goodreads challenge! Yay for Readathon! I'm feeling very sleepy now though and the coffee isn't working, so I think I'm going to put down the book I'm reading at the moment (Perijee & Me - 40 pages in) and get a couple of hours sleep. I so badly wanted to get through the whole 24 hours but sleep is important and I can hardly keep my eyes open, which is making reading quite difficult. I'll be back later with another update! We're at the halfway point! I just had to get up and make myself some coffee because I'm starting to flag a little bit now. I'm thinking about putting my headphones in to listen to music in an attempt to stay awake but I'm worried it might put me to sleep instead! Any recommendations? I'm about halfway through St Lucy's Home... which I'm enjoying, but not getting through as fast as I thought I would! I'm really looking forward to picking up Perjiee & Me - I'm glad I've saved it until later as I think it will be just the thing for the small hours when I might be getting really tired. I haven't really had any interruptions, more distractions. Paul was watching Dynamo on TV earlier and I kept finding myself watching snippets of that! I'm really surprised at how many people are taking part, it's such a big number! So we're into hour 9, that's crazy! It's gone so fast, for me anyway. I've finished my third book and I'm now on my 4th, St Lucy's Home for Girls Raised by Wolves which is a short story collection by Karen Russell. I'm really liking it so far. 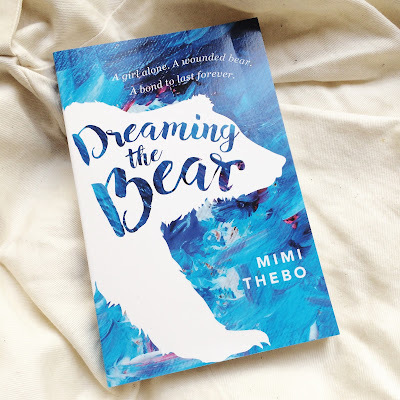 Dreaming The Bear was also wonderful! I'm starting to feel a bit tired and a bit restless but as I type this, we've just received a phonecall to say our food is on it's way - we're having fish and chips which will go down a treat and I'll probably have a break of about half an hour or so now to eat properly, and give my eyes a rest. I'm still hoping to power through the full 24 hours but we'll see how I'm feeling a bit later on. I'm still tweeting my way through and updating Goodreads with each new book I pick up! I can't believe it's been 4 hours already! It's sped by. I've read two books so far. The Prime of Miss Jean Brodie was a bit difficult to get in to and even though I finished it, I can't say I really loved it. Just before hopping over to write this update I finished Little Tales of Misogyny by Patricia Highsmith - dark but enjoyable! I've been keeping hydrated with a massive bottle of water and Paul brought home some quiche which we had for an afternoon snack, so things are going well! It might be time for another cup of tea soon though. This is my first Readathon so as I mentioned in my TBR pile post, I'm not really sure how much reading I'll be able to get done - I might have drastically underestimated the amount of pages I can get through in 24 hours! I'll be posting updates here every few hours, more regularly on Twitter and probably also on Goodreads as and when I finish/start a book (it all counts towards my 2016 total, after all!) so feel free to follow my progress there. From Leeds in the north of England, UK! I'm really excited to read both Karen Russell short story collections I've picked out. Probably the cookies but I'm going to really try and save them until the small hours when I need a bit of a pick-me-up! I'm 25 but I wouldn't describe myself as very grown up, except when I have to be. I'm a big fan of everything Disney and I say you can never go wrong with a good boyband! It's my first one so I'm not too sure what to expect, but mostly I'm just looking forward to being able to read all day! I often plan to spend my weekends reading but things get in the way or I have errands that need running. Not today! Next week on the 23rd April, starting at 13:00, I will be taking part in my first ever Readathon - Dewey's 24 Hour Readathon! I've picked out the six books above to make up my planned reading for the day. 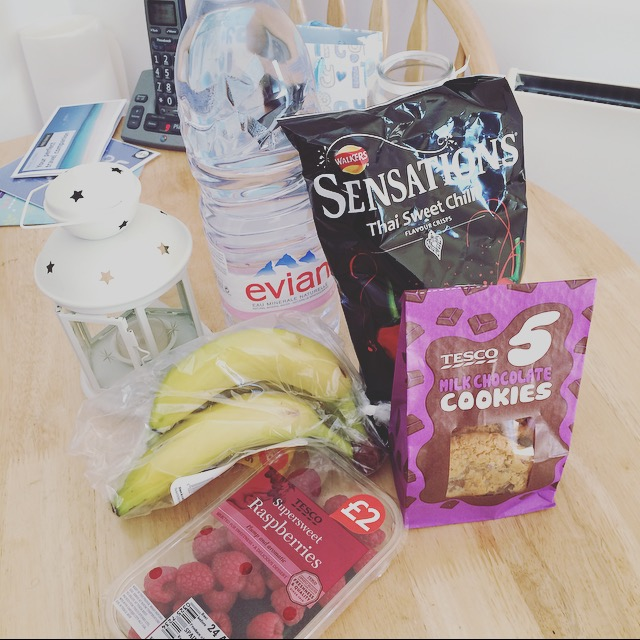 I'm aiming to take part for the full 24 hours which is quite ambitious for the first time I've joined in but I thought I might as well go for it! I can always cut back on how many hours I read for next time if I need to. I've read a few blog posts and discussions in the readathon Goodreads group and lots of people have recommended sticking to shorter, easier reads such as short story collections and children's books. I've tried to keep that in mind when choosing my readathon books. I've picked three short story collections: Little Tales of Misogyny by Patricia Highsmith, St Lucy's Home for Girls Raised by Wolves by Karen Russell and Vampires in the Lemon Grove, also by Karen Russell. I thought these would be easy to dip in and out of, if for whatever reason I'm not up to finishing them all at once. I don't see this being an issue though! I'm particularly looking forward to the Karen Russell collections as they've been on my shelves for a while and sound wonderful. I've supplemented these with two children's books, Dreaming The Bear by Mimi Thebo and Perjiee & Me by Ross Montgomery. I'm really looking forward to them both too! I know some people use the readathon to get rid of some things on their TBR piles that they maybe wouldn't get around to normally, but since it's my first one I've chosen books that I'm really excited to read so hopefully it's fun! The one exception to this is probably The Prime of Miss Jean Brodie by Muriel Spark which I've included as I thought it would be the perfect time to get April's 2016 Classics Challenge read out of the way. I'll probably start with this one followed by the Patricia Highsmith collection. So they're all the books I'm hoping to read across 24 hours next weekend. I've got no idea whether this is really ambitious or if I might run out of things to read by the end, but if that happens, I've got plenty more books waiting for their turn on my shelves! I'll be updating throughout here on the blog and also on Twitter using the #readathon hashtag, if you want to see how I get on! It's become a kind of mantra for me. Brave is not the first word I would think of to describe myself; nor is courageous, so I was pretty surprised to be sorted into Gryffindor on Pottermore. 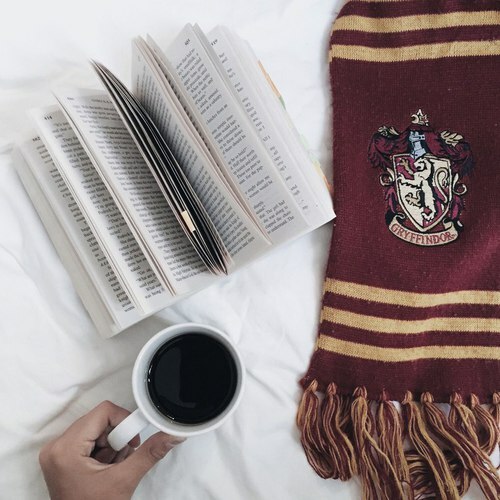 I'm a lot of other things associated with Gryffindors - definitely stubborn, passionate about things I believe in, fiercely loyal to the people I love most. But I never thought of myself as brave. The more I've thought about it though, the more I've realised that maybe I am brave at heart, because bravery and strength can take many forms, and it doesn't always have to be about fighting the forces of evil. 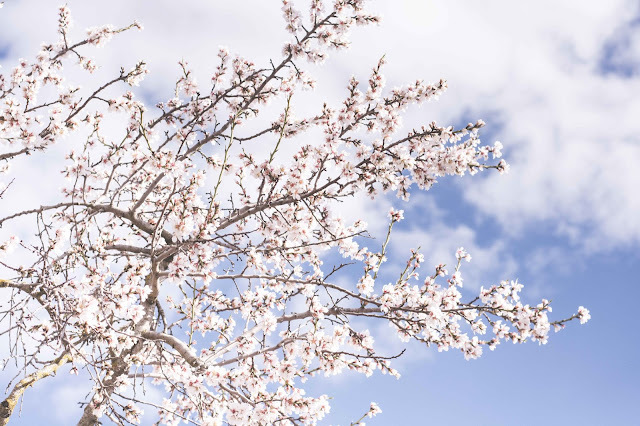 Bravery can be little things like going out to see your friends even though you don't really want people to see you, or turning up to work every day when it would be much easier to hide at home. And brave can mean putting yourself first and having the courage to cut people and things that don't make you feel happy out of your life, even when you feel obligated to keep them around. In those ways, I think I'm earning my red and gold stripes every day. Hello! I'm back today with the second installment. I know it's only early days but the fact that I have kept this up for more than one post is pretty impressive to me. If you're wondering what this series is all about, click here to read last month's where all is explained! 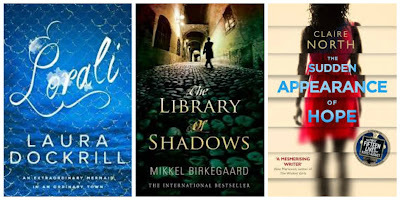 Here are some of the books I marked as 'to read' in the month of March. I'm a little late to the party with this one I think, but I seem to be seeing the cover and hearing about this everywhere at the moment and everyone seems to think it's pretty great. I mean it has mermaids and pirates, so that's me sold! When Luca Campelli dies a sudden and violent death, his son Jon inherits his second-hand bookshop, Libri di Luca, in Copenhagen. Jon had not seen his father for 20 years—since the mysterious death of his mother. After Luca’s death is followed by an arson attempt on the shop, Jon is forced to explore his family’s past. Unbeknownst to him, the bookshop has for years been hiding a remarkable secret. It is the meeting place of a society of booklovers and readers who have maintained a tradition of immense power passed down from the days of the great library of ancient Alexandria. Now someone is trying to destroy them, and Jon finds he must fight to save himself and his new friends. Something I really love are books and stories about books and stories and book lovers, and I thought this one sounded really good. My name is Hope Arden, and you won't know who I am. We've met before - a thousand times. But I am the girl the world forgets. It started when I was sixteen years old. A slow declining, an isolation, one piece at a time. A father forgetting to drive me to school. A mother setting the table for three, not four. A teacher who forgets to chase my missing homework. A friend who looks straight through me and sees a stranger. No matter what I do, the words I say, the people I hurt, the crimes I commit - you will never remember who I am. That makes my life tricky. But it also makes me dangerous. I've been a fan of Claire North since reading The First Fifteen Lives of Harry August. I also have her second novel Touch on my shelf waiting for its turn! Claire's books always have really original concepts and I'm always left wondering how she came up with them. The Sudden Appearance of Hope sounds like it will be no exception! Nix has spent her entire life aboard her father’s ship, sailing across the centuries, across the world, across myth and imagination. As long as her father has a map for it, he can sail to any time, any place, real or imagined: nineteenth-century China, the land from One Thousand and One Nights, a mythic version of Africa. Along the way they have found crewmates and friends, and even a disarming thief who could come to mean much more to Nix. But the end to it all looms closer every day. Her father is obsessed with obtaining the one map, 1868 Honolulu, that could take him back to his lost love, Nix’s mother. Even though getting it—and going there—could erase Nix’s very existence. For the first time, Nix is entering unknown waters. She could find herself, find her family, find her own fantastical ability, her own epic love. Or she could disappear. I'm not 100% sure that I will get around to reading this one, as it has some quite mixed reviews. Having said that, time travel, myths and magic are all things I love in a fantasy book, so it's something I'm willing to try for myself. It's summer, and for teachers Ed and Natalie Steele this means six weeks off work with their young daughter Molly. Their lives are predictable and uncomplicated -- or at least they were until they meet the Faulkners. Suddenly, glamorous Lara Faulkner, a former actress leading an eccentrically lavish lifestyle, is taking Natalie under her wing and the stability of summer takes an exciting turn. But are there hidden motives behind this new friendship? And when the end-of-summer party at the lido is cut short by a blackout, Natalie realises that she's been kept in the dark all along. I love thrillers and although I don't like to read too many dark books in a row, if I haven't picked one up for a while I start to crave another. Unfortunately I find a lot of thrillers to be kind of samey and I'm always on the lookout for something that's really going to shock me or will actually keep me on the edge of my seat. I think Gillian Flynn may be to blame for that, as ever since I read Gone Girl nothing has quite seemed on the same level of suspense. The Swimming Pool sounds promising though! See you next month for April's installment. In the meantime, let's be Goodreads friends! I welcomed quite a few new things to my shelves in March - prompting a quite overdue trip to IKEA on bank holiday Monday to look at new bookcases! Here's what I picked up. Caitlin is the only young person living on Middle Island. On the first day of vacation, she finds a tiny alien on the beach. Caitlin becomes close to her secret friend, whom she names Perijee, teaching him everything about her world and treating him like a brother. There's only one problem: Perijee won't stop growing. And growing... Caitlin will have to convince the adults around her - and Perijee himself - that the creature they see as terrifying monster is anything but. I mentioned this in last month's The List and when Paul took me to choose a book for Easter (#givebooksnoteggs - my kind of thinking) this was what I chose to bring home. I'm hoping to read this in April as part of Dewey's 24-hour Readathon as it's nice and short. An impulse buy. I hadn't heard of it until I spotted it in the shop, but I thought it sounded so mysterious and I was also intrigued to see that it was shortlisted for the Man Booker Prize in 2015. I'm expecting good things from this one! The year is 1806. England is beleaguered by the long war with Napoleon, and centuries have passed since practical magicians faded into the nation's past. But the scholars of this glorious history discover that one remains: the reclusive Mr Norrell, whose displays of magic send a thrill through the country. Proceeding to London, he raises a beautiful woman from the dead and summons an army of ghostly ships to terrify the French. Yet the cautious, fussy Norrell is challenged by the emergence of another magician: the brilliant novice, Jonathan Strange. Young, handsome and daring, Strange is the very antithesis of Norrell. So begins a dangerous battle between these two great men which overwhelms that between England and France. And their own obsessions and secret dabblings with the dark arts are going to cause more trouble than they can imagine. This novel first came to my attention last year with the BBC adaptation and I was quite surprised I'd never heard of it before! I love anything involving magic but I think I'll also enjoy the darker elements of this book; either way it sounds absolutely enchanting. I didn't watch any of the television series which I'm glad about, as it means nothing will colour my experience with this one, and I'm really looking forward to the day I pick this out of my TBR jar! I mentioned in my 2016 Reading Goals post that I wanted to challenge myself this year to read a really big book and this definitely fits the bill at over 1000 pages. In this much-loved children's classic first published in 1906, the comfortable lives of three well-mannered siblings are greatly altered when, one evening, two men arrive at the house and take their father away. With the family's fortunes considerably reduced in his absence, the children and their mother are forced to live in a simple country cottage near a railway station. There the young trio - Roberta, Peter, and young Phyllis - befriend the porter and station master. The youngsters' days are filled with adventure and excitement, including their successful attempt to avert a horrible train disaster; but the mysterious disappearance of their father continues to haunt them. I picked this up to read for the 2016 Classics Challenge and I've actually already finished it. I thought it was really lovely - read my full review here! A flooded world. A floating circus. Two women in search of a home. North lives on a circus boat with her beloved bear, keeping a secret that could capsize her life. Callanish lives alone in the middle of the ocean, tending the graves of those who die at sea. As penance for a terrible mistake, she has become a gracekeeper. A chance meeting between the two draws them magnetically to one another - and to the promise of a new life. But the waters are treacherous, and the tide is against then. I never knew circuses were a thing I would enjoy reading about but ever since reading The Night Circus I've been craving anything similar to it. I'm really looking forward to this one and I think it will be just the dose of whimsical fantasy I've been looking for. Jack lives with his Ma in Room. Room has a single locked door and a skylight, and it measures eleven feet by eleven feet. Jack loves watching TV but he knows nothing he sees on the screen is truly real - only him, Ma and the things in Room. Until the day Ma admits there is a world outside. If you paid even a little bit of attention to the Oscars you will have heard some of the buzz around this book and it's film adaptation. Another one that seems to have passed me by, I can't wait to find out for myself if it's as wonderful as everyone says. I don't doubt that it is! Patricia is a witch who can communicate with animals. Laurence is a mad scientist and inventor of the two-second time machine. As teenagers they gravitate towards one another, sharing in the horrors of growing up weird, but their lives take different paths... When they meet again as adults, Laurence is an engineering genius trying to save the world - and live up to his reputation - in near-future San Francisco. Meanwhile, Patricia is a graduate of Eltisley Maze, the hidden academy for the magically gifted, working hard to prove herself to her fellow magicians and secretly repair the earth's ever growing ailments. As they attempt to save our future, Laurence and Patricia's shared past pulls them back together. And though they come from different worlds, when they collide, the witch and the scientist will discover that maybe they understand each other better than anyone. Are you sensing a theme here? There's the magical theme I know and love but with science fiction and fantasy thrown in for good measure. It promises to be a very interesting read and has lots of really positive reviews! Each new addition has already been added to my TBR jar so maybe I'll be making a start on one of these titles up very soon! Have you read anything I picked up this month? 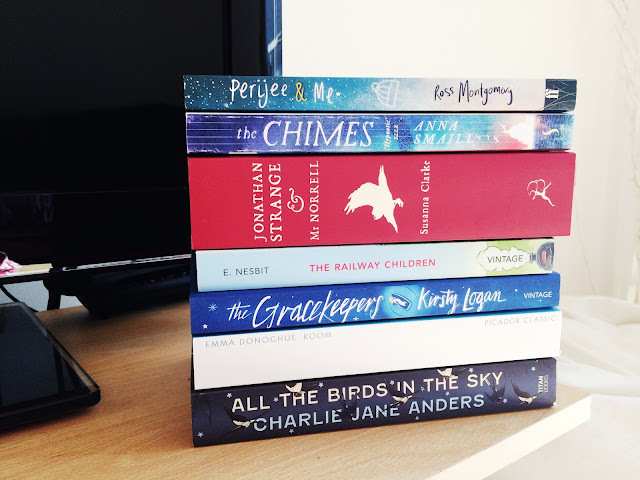 • This week has been a really good week for book post! Some of the books I've ordered for myself arrived, and I've also received a couple of titles from some publishers. It's a pretty nice feeling to think that has come from starting a blog and it makes me feel quite proud that it's been noticed. • Impulse buying new fluffy socks from a bargain basket at the local supermarket. Toasty warm! • Essie Lilacism. The perfect pastel. Noah is four and wants to go home. The only trouble is, he's already there. Janie's son is her world, and it breaks her heart that he has nightmares. That he's terrified of water. That he sometimes pushes her away and screams that he wants his real mother. That it's getting worse and worse and no one seems able to help. In desperation, she turns to someone who might have an answer - but it may not be one she's ready to hear. It may also mean losing the one thing she loves more than anything. Noah. A novel that spans life, death and everything in between, The Forgetting Time tells an unforgettable story - about Noah, about love and, above all, about the memories that shape us. 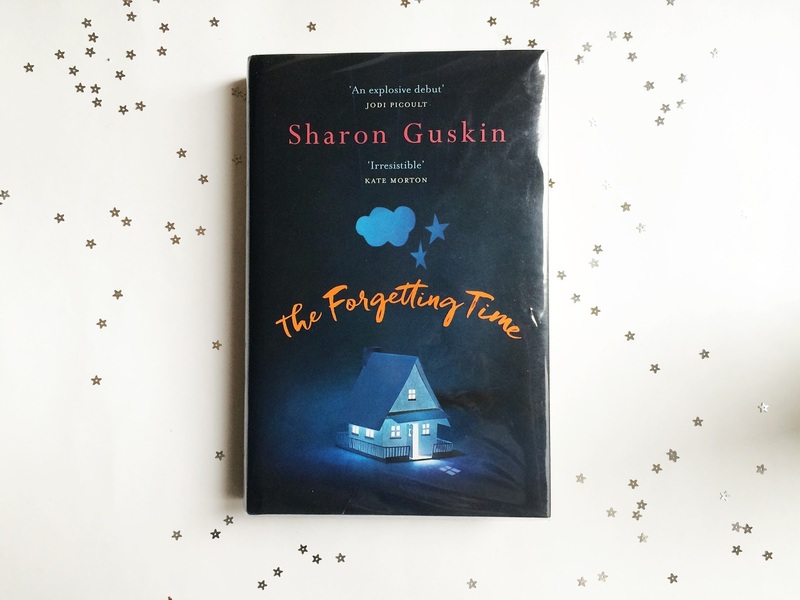 The Forgetting Time is a very smart and compelling read. It follows the story of Noah, who wants to go home. It sounds like a simple request from a 4 year old, but Noah also has an irrational fear of water, is plagued by nightmares, and makes frequent requests of his mother, Janie, to go see his 'real mother.' Under pressure from Noah's school, Janie seeks help and they meet Jerome Anderson, an academic studying children who appear to recall detail of previous lives. Their quest to help Noah leads them to the door of a woman whose own son disappeared seven years ago. I was intrigued straight away by the subject of past lives and memory, I think because it's something most people have wondered about at least in passing before. I love when a book teaches me something new and I learned a lot while reading about the research done on past lives and reincarnation, thanks in part to the inclusion of real world examples and case studies from researchers the author met. At the centre of the story is a moral dilemma which definitely pulled me in - what would you do, if your child thought he was someone else - and what would you do if there was a lot of evidence that it could be true? The book is told from the point of view of numerous people at different points but most often, from the perspectives of Janie and Dr Anderson. I enjoyed Janie's chapters the most as I found her story most compelling, as a mother just trying to do her best for her child. Dr Anderson also has his own back story which I found interesting too, but I wasn't quite sure what it added to the story. 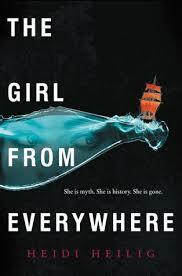 I enjoyed the writing but found the plot is quite predictable. I found it quite easy to work out the cause of Noah's trauma from dialogue early on, and there aren't really any twists or unexpected plot developments. This isn't necessarily a weakness as I felt the story was more an exploration of the dilemma facing both parents and the way they would choose to deal with the things they discover, but something to be aware of if you're expecting more of a thriller. Overall, an interesting and thought provoking read, with great characters, but not one that blew me away. They were not railway children to begin with. When Father mysteriously leaves home Roberta (everyone calls her Bobbie), Phyllis and Peter must move to a small cottage in the countryside with Mother. It is a bitter blow to leave their London home, but soon they discover the hills and valley, the canal and of course, the railway. But with the thrilling rush and rattle and roar of the trains comes danger too. Will the brave trio come to the rescue? And most importantly, can they solve the mystery of their father's disappearance? The Railway Children is the second book I chose to read for the 2016 Classics Challenge. After a not very positive start to the challenge in February with Peter Pan, I was hoping this would be much more enjoyable. And it was! I've never read the story or even seen the film adaptation before, so although I was familiar with the basic plot of the adventures three children who live by a railway, I was able to discover the full story and its characters objectively. I absolutely loved it and I found myself smiling the whole way through. 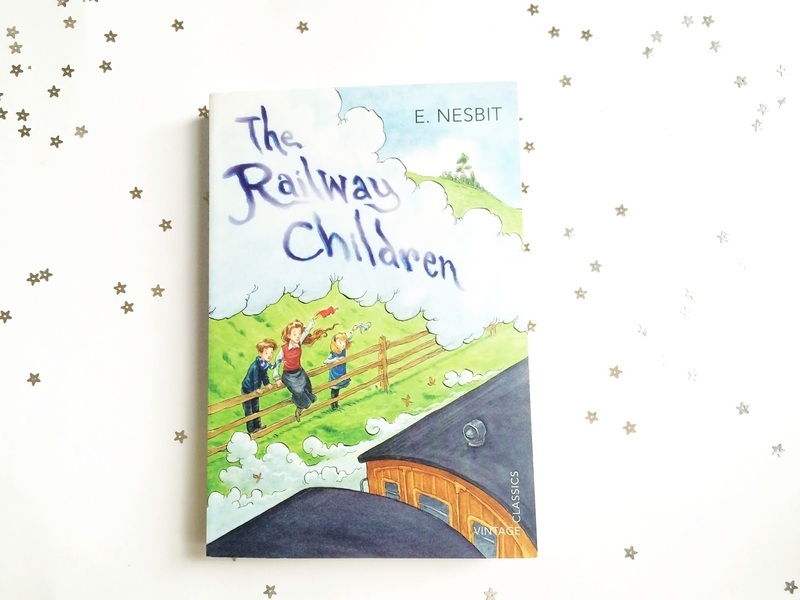 I thought all the characters were really well written for such a short children's book, and in particular E. Nesbit did a wonderful job of showing the difference in ages between the children in their mannerisms. For example, Bobbie the eldest, who is intuitive enough to realise her mother is upset by their father's absence, but decides best not to ask her about it, in case mother doesn't want her to know. The Railway Children is an adventure story and I really liked the mixture of dramatic, exciting moments and more day to day country life. The prose has a very gentle pace to it and we get to spend quite a lot of time getting to know some of the supporting characters, such as proud Mr Perks the station porter, and the Old Man who waves to the children every day from his train carriage. Running through it all is the mystery of their father leaving home, and little clues are given here and there. The ending was so lovely and actually brought a little tear to my eye - I won't spoil it in case you're still to pick this one up but those already familiar with the story will understand! I can see exactly why The Railway Children is considered a classic and I think it will stay that way. There are obvious differences between the audience of the time and modern readers, namely in the experience of childhood - Bobbie, Peter & Phyllis have a lot more freedom than you would expect children to have. Most parents now definitely wouldn't let their children play so close to the railway tracks! But the story and characters are so endearing as to transcend this. Some of the language is quite old-fashioned as might be expected but it's not too difficult, so I'd highly recommend this for children who are starting to explore books of a slightly longer length - this edition is 286 pages. It's a really lovely story with all the right ingredients for a beloved children's book, and one that I also really appreciated as an adult first-time reader.